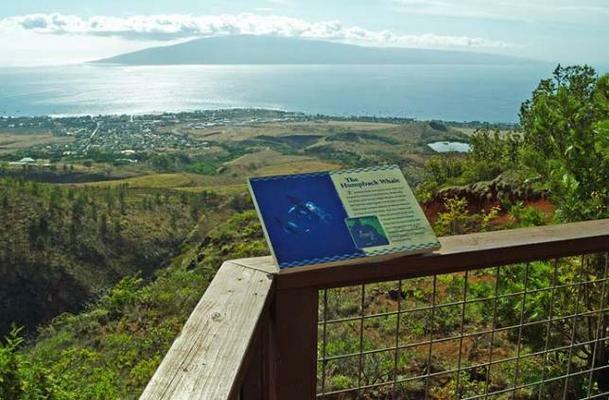 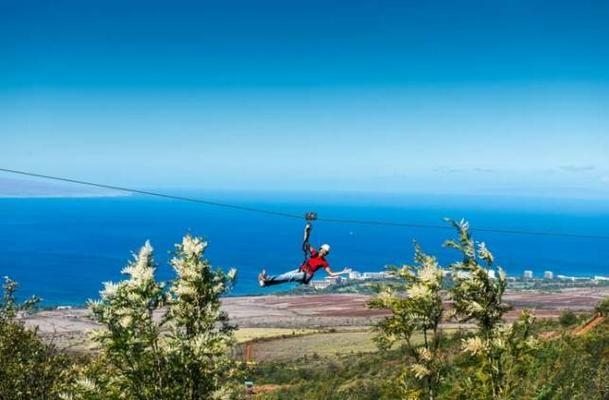 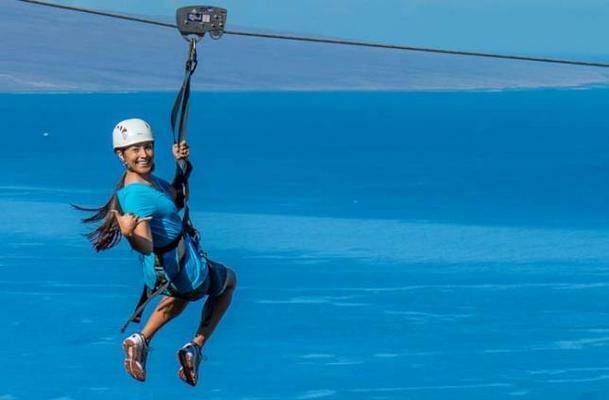 Located high in the West Maui mountains, overlooking the old port town of Lahaina and beautiful resorts of Ka’anapali, this 8-line zipline adventure begins at Skyline’s Retail Store, which is conveniently located in The Fairway Shops in the Ka’anapali resort area. 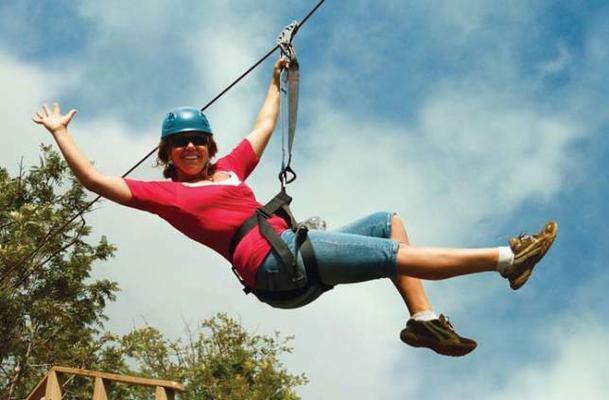 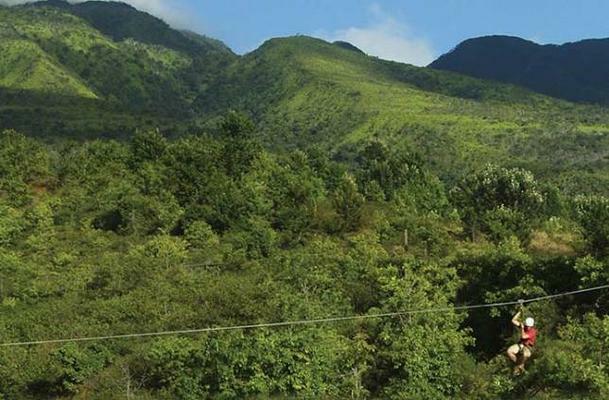 This is a zipline adventure you don’t want to miss! 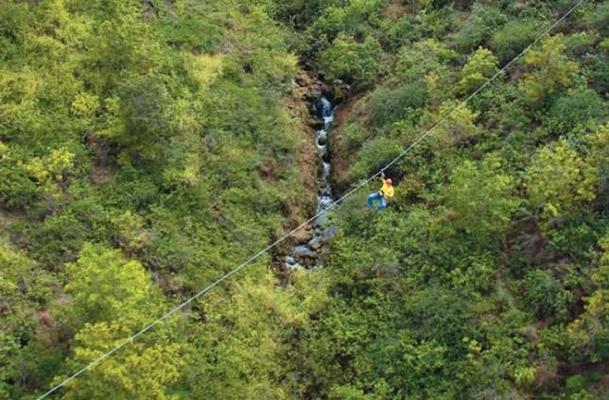 Following a bit more familiarization by the guides, it is on to the zipping! 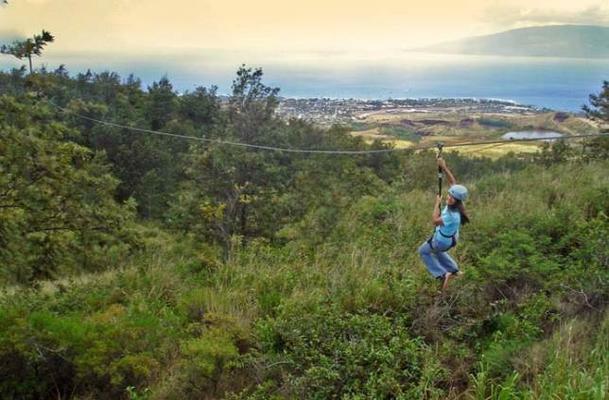 As you head further up the mountain, the hustle and bustle of Front Street fade away behind you, and a private adventure lies ahead. 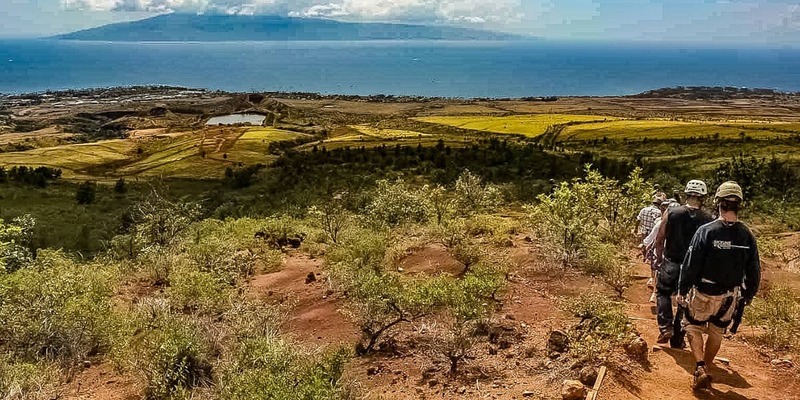 The incredible coastal views of Maui and the outer islands of Molokai, Lanai, and Kaho’olawe get better and better as the ride continues. 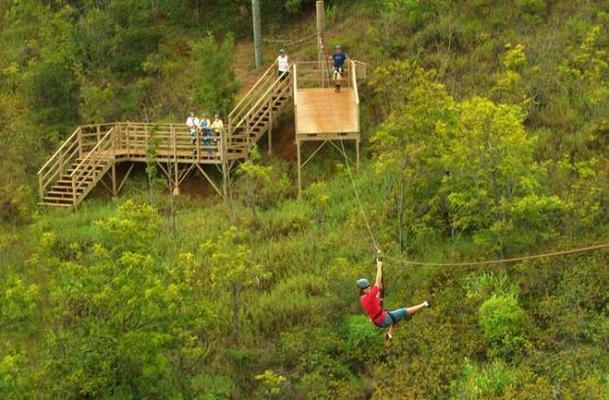 A few minutes later you will arrive at your first zipline!